Posted on April 4, 2018 by K.J. I would like to introduce you to Donal Kennaugh, one of the main characters in The Manx. I have enjoyed writing Donal’s character because there are many secrets behind him. Throughout the story these secrets will come to light as he is forced to face his past. He lives in Ramsey with his mother, Brigid. He and his father were a sidecar team in the motorcycle racing circuit. During the Isle of Man Tourist Trophy race (also known as the TT), the bike went out of control. His father was killed, and Donal has not raced since, but still loves to ride on the rare days the sun shines on the island. The main character of The Manx is Kaitlin Manning. She and Donal are first maternal cousins and spent childhood summers together adventuring around the Isle of Man. Donal took her to all of his secret places and they made up wild tales of kings and queens, knights and princesses. He slew dragons for her, spoke with the fairies, and wrestled bugganes. He was Kaitlin’s hero. After his father’s death, the games suddenly stopped. It has been ten years since Kaitlin and her father visited the island, and they have returned to photograph the TT. Donal and Kaitlin will once again take up their childhood adventures, but they will no longer be a games of pretend. Note: Today calls for two blog posts in order to satisfy two blog writing challenges. 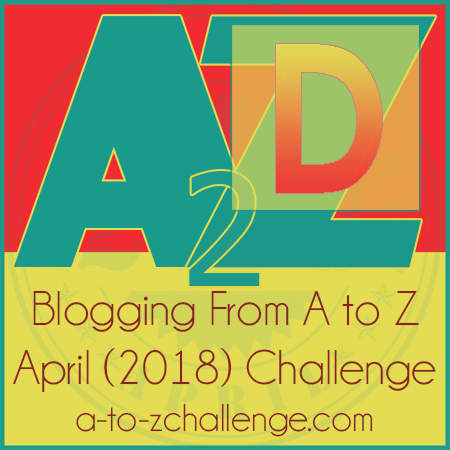 A to Z Challenge’s daily post plus the Insecure Writers Support Group’s monthly post. This entry was posted in fairies, magic, The Manx and tagged #amwriting, #atozchallenge, Buggane, Donal Kennaugh, dragons, fairies, fantasy, Kaitlin Manning, magic, The Manx by K.J.. Bookmark the permalink. Oh, now I want to go research sidecar motorcycle racing! I’m enjoying your posts about The Manx.